After Amanda Nunes destroyed Cris Cyborg at the main event of UFC 232, she became the first female UFC two-division champion. Despite Justino was ready to put the gloves on again and fight Nunes toe to toe soon after the defeat, Dana White was not interested in an immediate rematch, claiming the win was “pretty convincing”. “The Lioness” is not in a hurry to meet Cyborg again too. At the moment, Holly Holm (12-4 MMA, 5-4 UFC) is set to meet Aspen Ladd (7-0 MMA, 2-0 UFC) at UFC 235. 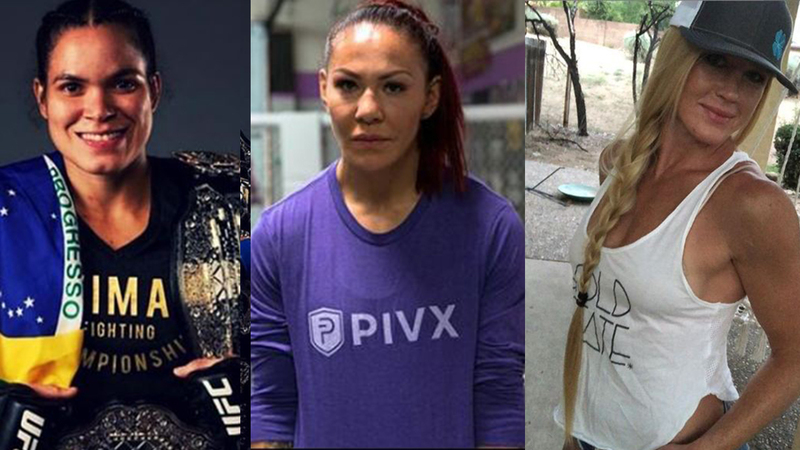 If “The Preacher’s Daughter” win, she might unlock the opportunity to fight Amanda Nunes next! Amanda Nunes Vs Holly Holm would be a clash of two great names. “The Preacher’s Daughter” is a technical striker with world-class left high kick. She rarely fights toe to toe and rather circles around the opponent, waiting for a perfect moment to deliver a lethal blow. On the other side, “Lioness” is a very strong and fast fighter, known for quick and precise combos. Do you think Cyborg deserves the rematch versus Nunes? Would you like to watch Amanda Nunes Vs Holly Holm in 2019? Don’t forget “The Preacher’s Daughter” dethroned Ronda Rousey, anything could happen if she meets the Brazilian two-division champion!